This set is great for those who are new to thread crochet. Only basic crochet stitches are used throughout with the exception of shells and picots on the outer edging. 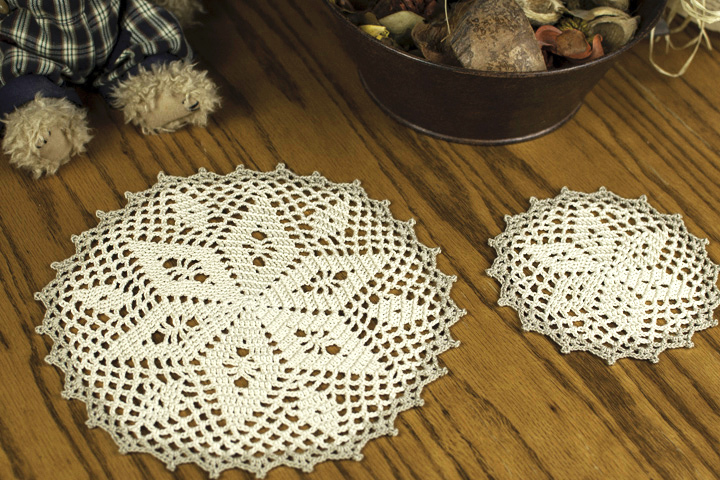 The doily and coaster can be made with just one color, or with two colors, as we’ve done, for added visual interest!